I took today off on annual leave (as I have to use all my allowance before I depart my job at Cardiff University). My intention was to make the best of the good weather to watch some cricket. The later start screwed up my plans as I had something to do in the evening but I thought I’d at least watch the first team bat (which turned out to be Middlesex). It was a lovely afternoon for cricket, and Middlesex got off to a good start in excellent batting conditions. 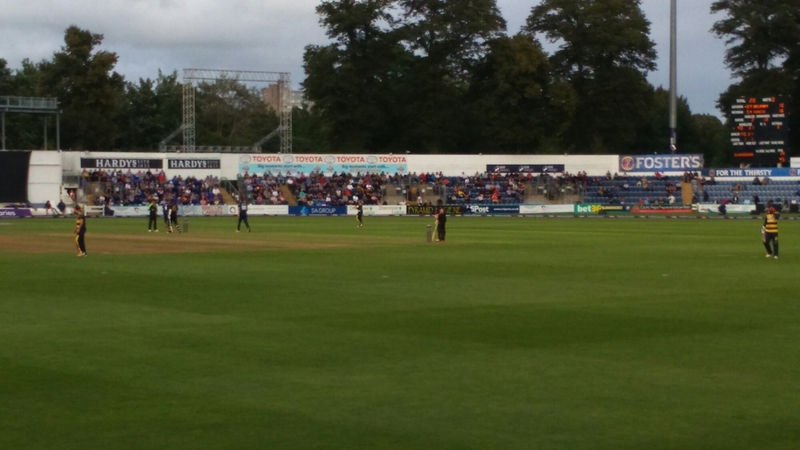 Gradually though Glamorgan’s bowlers established some measure of control. After a mini-collapse of three wickets in three overs (to Ingram’s legspin) it looked like Middlesex might not make 300 (which seems to be the par score in this competition). 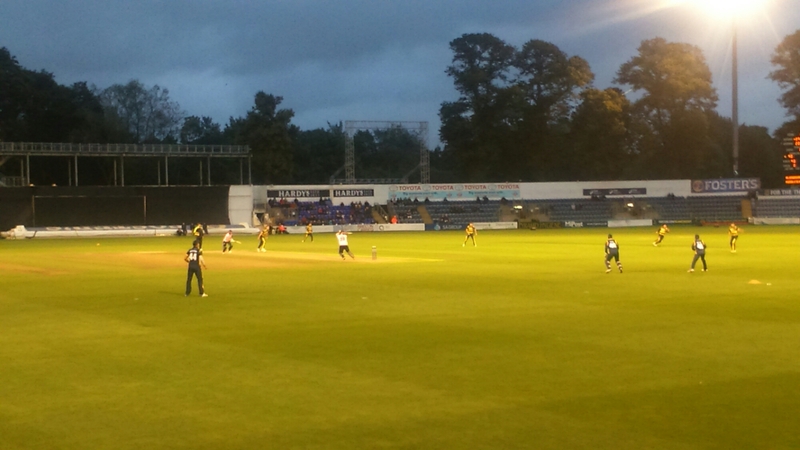 Unfortunately for Glamorgan, however, de Lange and Wagg were expensive at the death and a flurry of boundaries took Middlesex to 304 for 6 off their 50 overs. At that point I left Sophia Gardens to get ready to go out. I’ve just got back to discover that Glamorgan lost by just 2 runs, ending on 302 for 9. It must have been a tense finish, and was a good game overall, but Glamorgan have now lost all three games they have played in this competition.. Yesterday saw the end of this year’s County Championship season, which I take to be definition of the official end of summer. It’s happened very late this year. Is this the latest end to a County Championship season ever? There is, of course, an inconsequential 50-overs game still going on between England and the West Indies but the proper cricket is over and done with until next spring. Glamorgan won their last game earlier this week against Kent in three days, and finished 7th in the 2nd Division. Some good performances by young players (many of whom came through the Academy) adding a ray of optimism to what has been a fairly disappointing season (though with one highlight in a semi-final spot in the Twenty20 `blast’). Worcestershire finished top of the Second Division and Nottinghamshire were second, so they’ll both be playing in Division 1 next season. Essex won the County Champions in great style, unbeaten for the whole season. The main drama on the final day involved who got relegated along with Warwickshire (the latter having been adrift at the bottom of the Table for some time). Going into the last round of matches, Somerset looked the most likely to go down but they beat fellow strugglers Middlesex. Hampshire clung on for a draw against Warwickshire, giving them the points they needed to overtake Middlesex who will play in Division 2 next season. Other big news yesterday was the selection of the England squad to tour Australia and play for the Ashes this Winter: Joe Root (capt, Yorkshire), Moeen Ali (Worcestershire), James Anderson (Lancashire), Jonny Bairstow (wk, Yorkshire), Jake Ball (Nottinghamshire), Gary Ballance (Yorkshire), Stuart Broad (Nottinghamshire), Alastair Cook (Essex), Mason Crane (Hampshire), Ben Foakes (wk, Surrey), Dawid Malan (Middlesex), Craig Overton (Somerset), Ben Stokes (Durham), Mark Stoneman (Surrey), James Vince (Hampshire), Chris Woakes (Warwickshire). I’m not particularly impressed with some of the choices (especially Ballance and Vince), and it looks likely that Stokes won’t be available owing to his recent fracas outside a nightclub, but we’ll see. Anyway, yesterday was also National Poetry Day so it seems apt to mark the end of the County Championship with one of the classic cricket poems, Close of Play by Thomas Moult. This morning I had some business to attend to near my home. In fact it was in an office in Temple Court on Cathedral Road. I hadn’t been there before and it was only when I got there that I realised that the building used to be a synagogue. Opened in 1897 this was built at the same time as the grand houses on Cathedral Road. It hasn’t been used as a synagogue for some time, and the building has been substantially extended at the rear, but it is still a Grade II listed building. 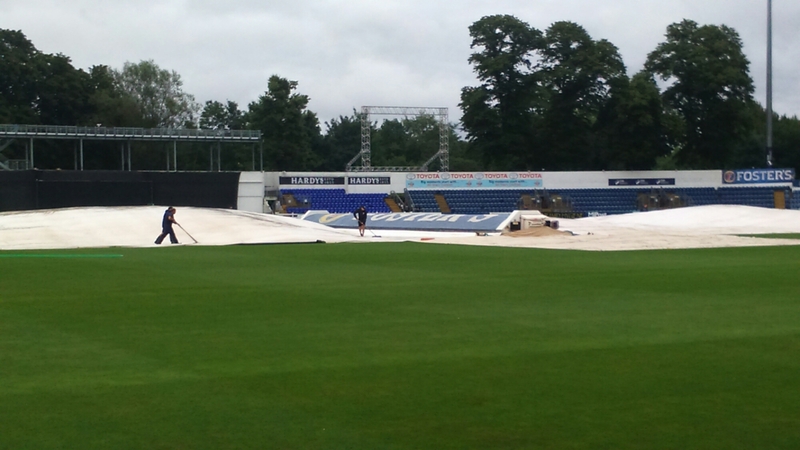 My little errand completed I decided to make the most of the weather by watching the morning’s play on the last day of the County Championship match between Glamorgan and Gloucestershire at the SSE Swalec Stadium in Sophia Gardens. Some playing was lost yesterday because of rain; the forecast had suggested a complete washout, but the rain cleared much earlier than predicted. Glamorgan had been all out for 442 in their first innings. 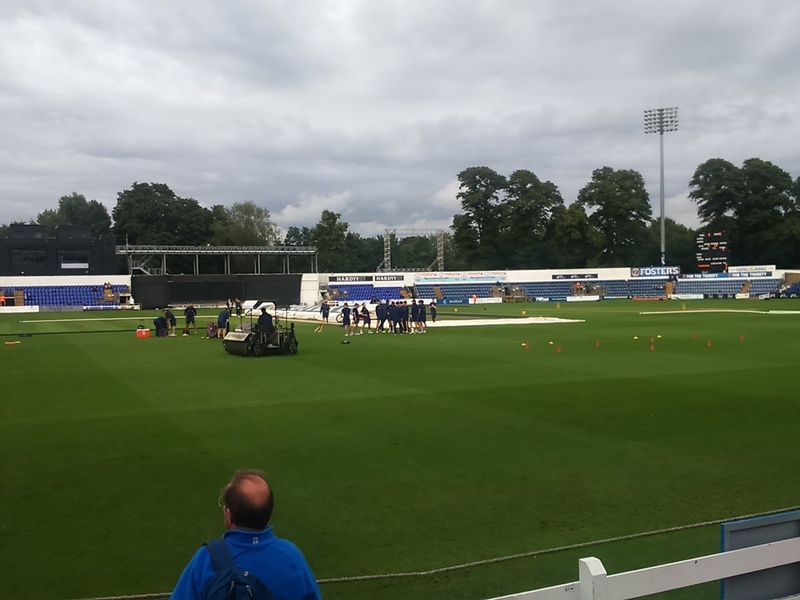 Gloucestershire found batting pretty comfortable but lost a flurry of wickets on Thursday afternoon and ended up declaring on 399 for 8 after 110 overs to have a go at Glamorgan for 15 overs late on. They had an early success with the ball, removing Brown for 13, with the score on 15, but opener Nick Selman and Andrew Salter, promoted to No. 3, took them to the close. 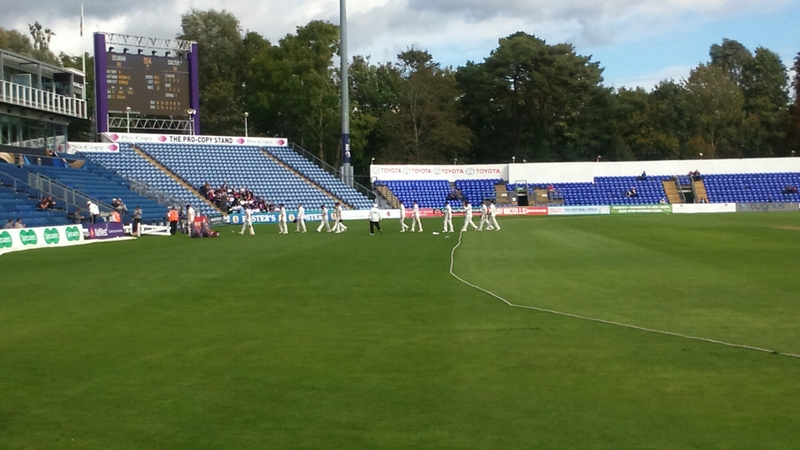 I watched them bat together all the way to lunch, as Glamorgan proceeded serenely to 154 for 1. 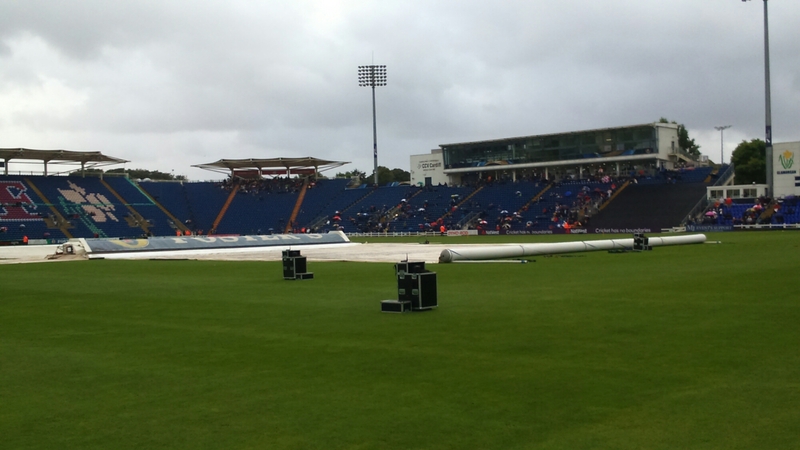 The game seems to be drifting to a draw, the likelihood of which is increased even further by the fact that rain is forecast this afternoon, so it wasn’t the most exciting cricket I’ve ever watched, but it’s good to end the season with Glamorgan doing well. 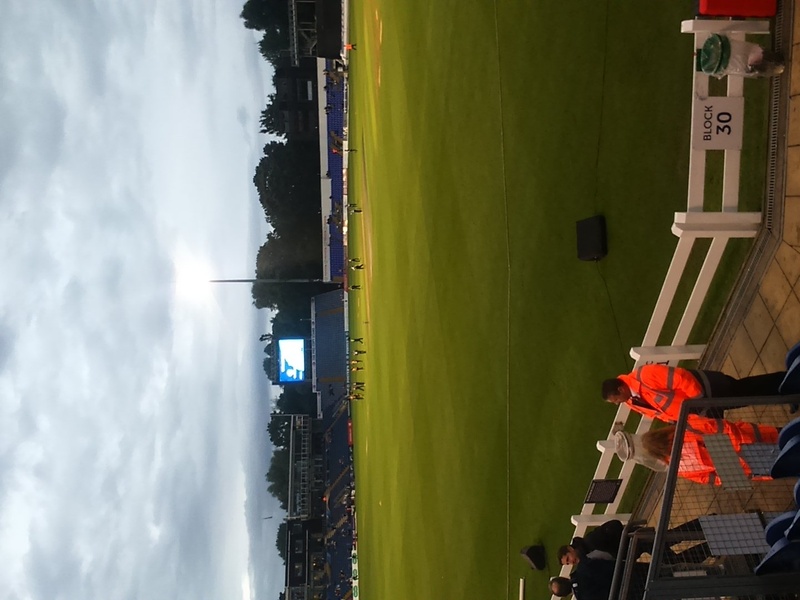 A sudden declaration with 40-50 overs left might give Glamorgan the chance of a win, but the pitch is very flat and I can’t see a result being forced. 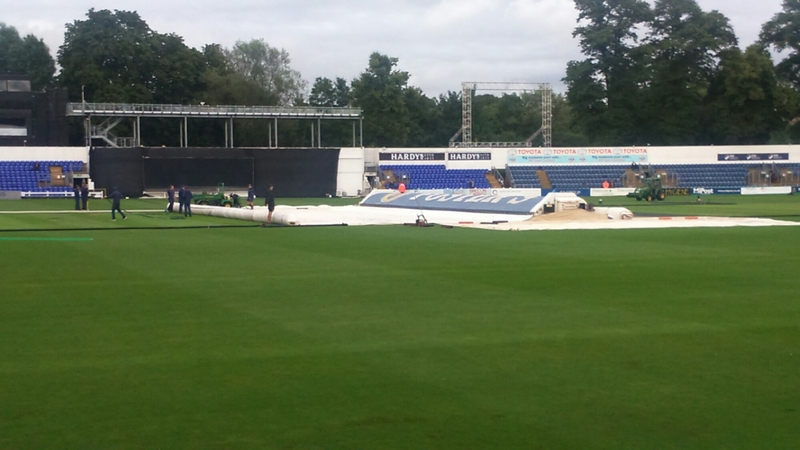 I’m pretty sure the plan is to give Glamorgan’s batsmen a chance to build up a bit of confidence for next season. I just checked the score, in fact, to find that Nick Selman has scored a century, which will do him a power of good! 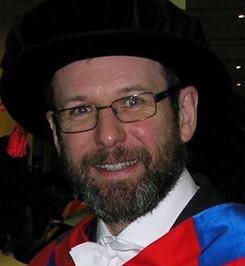 Our new students arrive for `induction’ next week – including the new PhD students involved with our Centre for Doctoral Training who will be attending a Launch Event that starts on Sunday afternoon. I have a few last-minute jobs to do connected with that this afternoon so I’d better get on with them if I want to get finished so I can enjoy the first Amser Jazz Time of the new season!